Gartner predicts that by 2018, 90% of organizations will implement at least one form of integrated DLP, up from 50% today. Starting the discussion now will save headaches later. 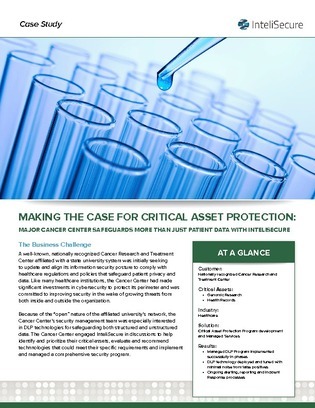 In this case study discover how a well-known cancer research and treatment center successfully deployed a process for implementing and leveraging DLP.